Cody Willoughby | AIM Media Midwest Claire and Gus Richard, 5 and 9, stroll along the cake walk during “Vikingfest” on Saturday at Miami East Local Schools. Cody Willoughby | AIM Media Midwest Miami East first grader Dylan Howell plays gaga ball during “Vikingfest” on Saturday at Miami East Local Schools. Cody Willoughby | AIM Media Midwest Lincoln Carter, 4, of Fletcher traverses the obstacle course during “Vikingfest” on Saturday at Miami East Local Schools. Cody Willoughby | AIM Media Midwest From left, Sixth graders Miriam Harmon and Brianna Baxter and fifth grader Sevanna Harmon embrace their school mascot during “Vikingfest” on Saturday at Miami East Local Schools. CASSTOWN — The viking spirit descended upon the Miami East Local School District on Saturday as “VikingFest” returned for a day of community fun. General admission to the event was free to the public, with various “pay-to-play” activities throughout the festival. Now in its twelfth year, VikingFest is a community fundraiser sponsored by the Miami East Education Foundation (MEEF). Proceeds from the event benefit the foundation’s student scholarships and learning grants, along with other participating school groups. According to co-chairperson Beth Culbertson, last year’s VikingFest brought in over $12,000 in funds. Across the five-hour event, VikingFest featured baking contests and sales, a silent auctions featuring gift cards and items donated from local organizations, a variety of live stage entertainment, arts and crafts, a free student art show, midway carnival games, a cake walk, and an escape room. Food was available for purchase, sponsored by the Miami East After-Prom Committee, Miami East Alumni sno-cones and popcorn, and a coffee bar provided by MEEF. 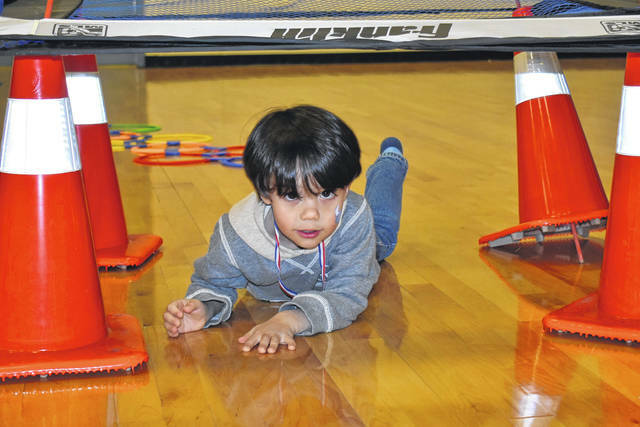 This year’s festival added a “ga-ga pit,” which allowed kids to play monitored rounds of ga-ga ball in the gymnasium. Special antique appraisals were also added as a feature for 2019. Founded in 2004 after approval from the Miami East Board of Education, the Miami East Education Foundation exists to provide financial support not available through public funds, and support the enrichment of Miami East students through scholarships and school personnel grants. To date, the Foundation has awarded over $125,000 in scholarships and grants. 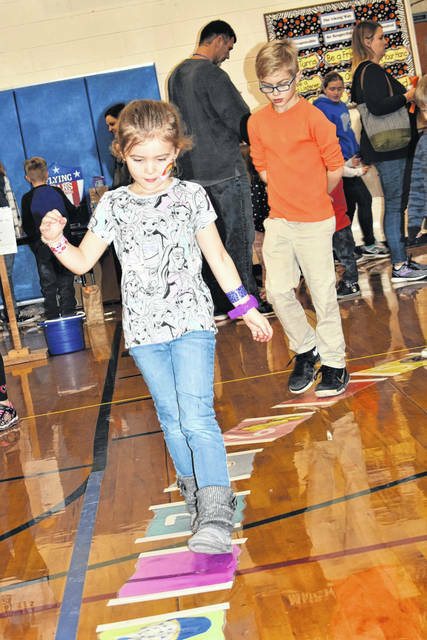 https://www.dailycall.com/wp-content/uploads/sites/30/2019/02/web1_Vikingfest3-2.jpgCody Willoughby | AIM Media Midwest Claire and Gus Richard, 5 and 9, stroll along the cake walk during “Vikingfest” on Saturday at Miami East Local Schools. 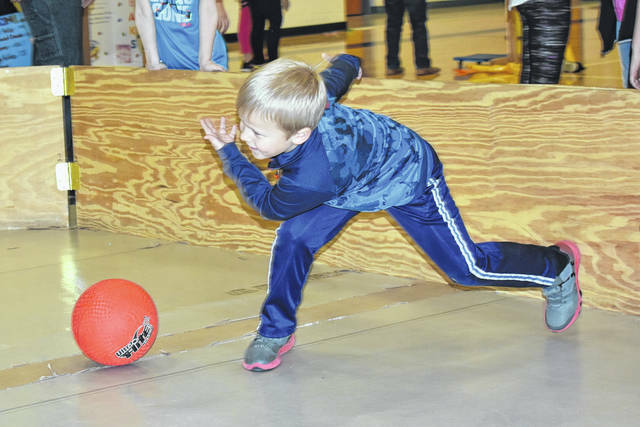 https://www.dailycall.com/wp-content/uploads/sites/30/2019/02/web1_Vikingfest4-2.jpgCody Willoughby | AIM Media Midwest Miami East first grader Dylan Howell plays gaga ball during “Vikingfest” on Saturday at Miami East Local Schools. https://www.dailycall.com/wp-content/uploads/sites/30/2019/02/web1_Vikingfest2-2.jpgCody Willoughby | AIM Media Midwest Lincoln Carter, 4, of Fletcher traverses the obstacle course during “Vikingfest” on Saturday at Miami East Local Schools. 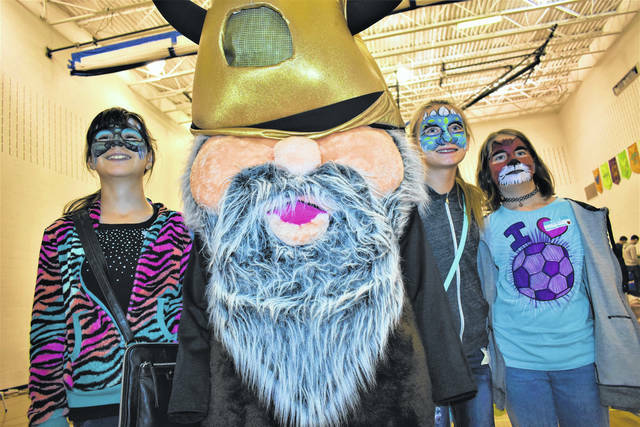 https://www.dailycall.com/wp-content/uploads/sites/30/2019/02/web1_Vikingfest1-2.jpgCody Willoughby | AIM Media Midwest From left, Sixth graders Miriam Harmon and Brianna Baxter and fifth grader Sevanna Harmon embrace their school mascot during “Vikingfest” on Saturday at Miami East Local Schools.